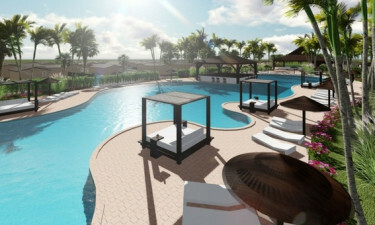 Situated in the enchanting Costa Blanca region of Spain, Marjal Eco Resort boasts plenty to do. Guests, who can easily book their dream holiday through LuxCamp, will be able to stroll to several gorgeous sandy beaches from their mobile home, while there is also plenty to do on the site itself. 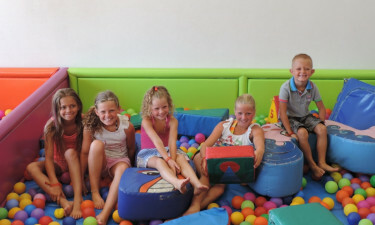 People who want to pack in plenty of beach time during their camping holiday are sure to find that Marjal Eco Resort is the perfect place to use as a base. After a busy day of exploring, guests can enjoy a little pampering in the onsite spa, while a range of sports can be practised in the recreational area. 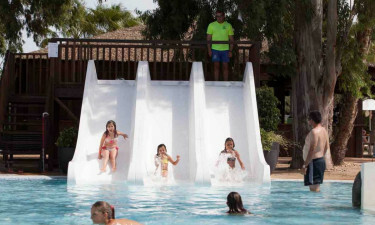 Marjal Eco Resort boasts its very own water park, which the whole family is sure to love. this huge aquatic area features three long waterslides and waterfalls, while the Balinese style beds that surround the main pool is the perfect place to unwind. Families are sure to love spending time on the beach of La Roqueta, which is just a short stroll from the site and boasts moderate waves that make this a safe place for the whole family to splash around. There are also plenty of other beaches for luxury camping lovers to enjoy such as Los Tussales and El Moncayo.